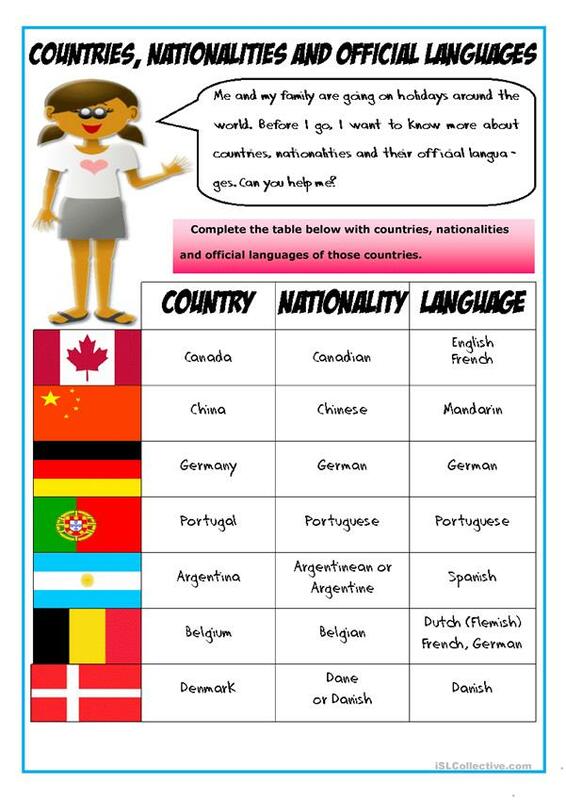 This is a two-page worksheet about countries, nationalities and their official languages. An answer key is included. 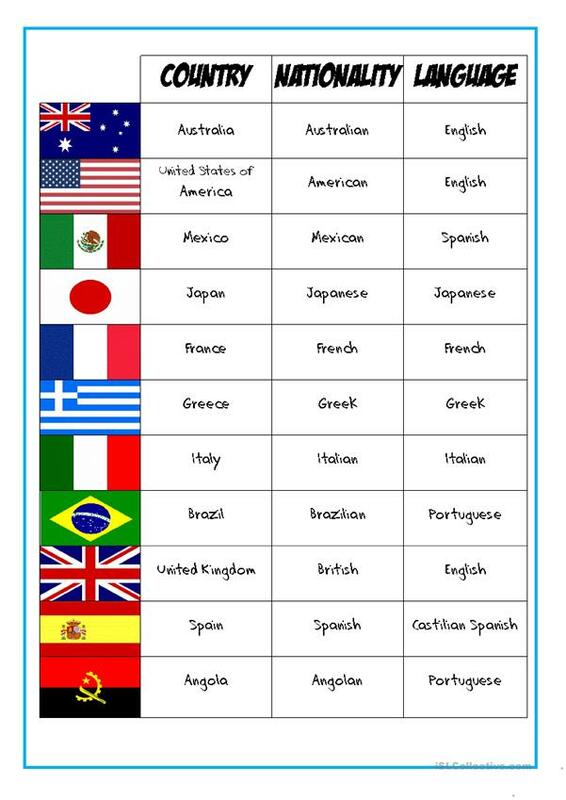 The present printable, downloadable handout was created for high school students and elementary school students at Elementary (A1) and Pre-intermediate (A2) level. 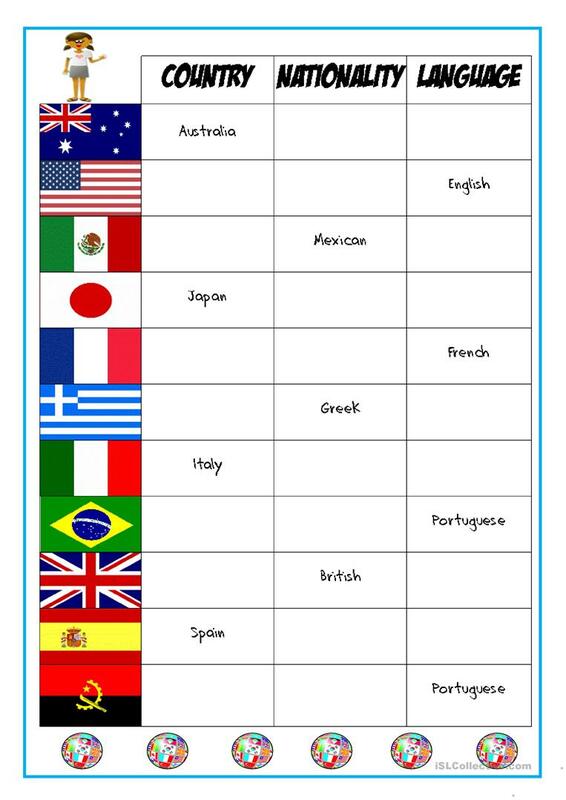 It was designed for working on your class' Reading and Writing skills. It features the theme of Countries. It includes a key, too.